Spacious and Welcoming Home with Large Screen Porches! A newer home on the Isle of Palms with an "old beach" feel. 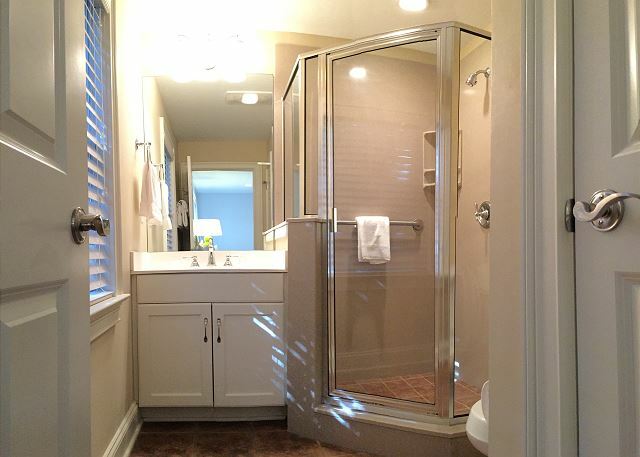 This house has a very open, yet comfortable main living area and 6 large bedrooms. 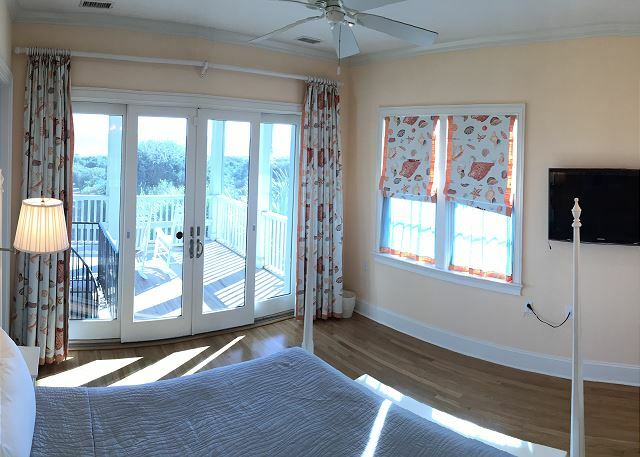 Enjoy the ocean breeze in a rocker on the expansive screened porches or sit in the Gazebo on your private boardwalk and watch the children at play on the beach. Maybe take a leisurely walk on the beach to breathe the fresh ocean air and pick up seashells. Perhaps a game of soccer or touch football on the huge backyard lawn will stir up appetites for the evening BBQ dinner! 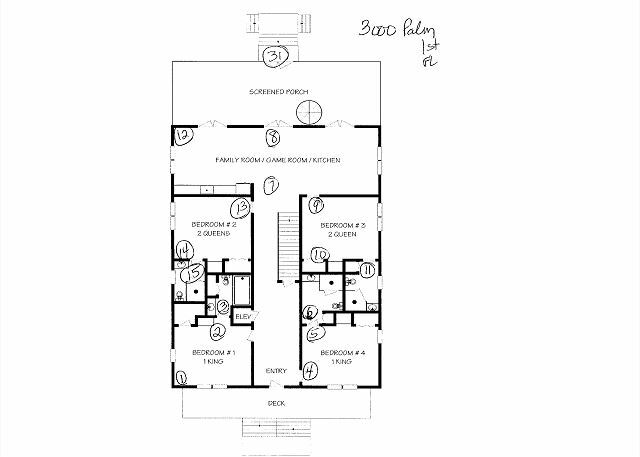 Or simply enjoy the company of friends and family in the beautiful interior of this 4290 Sq. Ft. oceanfront vacation home. 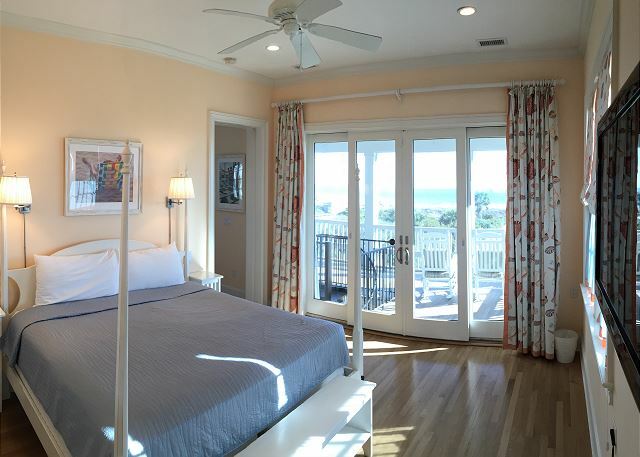 The large living area on the second floor offers amazing panoramic views of the ocean. The comfortable and roomy L shaped sofas and 4 chairs afford seating for your entire group. There is a built-in desk for the "working" members of your group, a gas fireplace and large flat panel TV along with Sonos system. The large custom dining table, which seats 10, is located between the nicely equipped kitchen and the living room. The kitchen boasts stainless steel appliances with side-by-side fridge, double oven tower, 5 burner gas cook top and 2 sinks. Four bar stools along the kitchen island is convenient for a quick breakfast or snack. A wet bar with sink and icemaker makes entertaining so much easier! 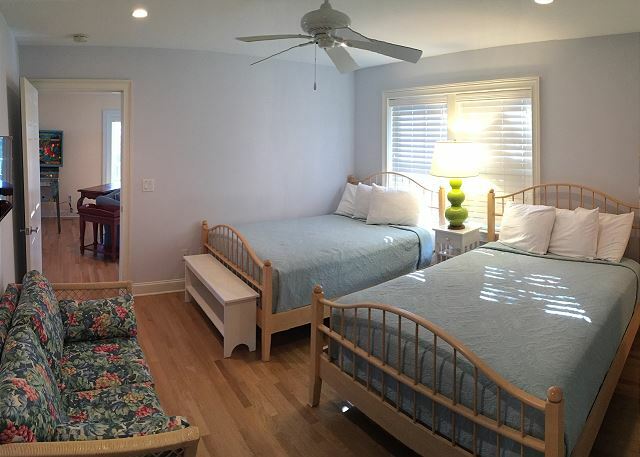 Also on the second floor is the Master Bedroom suite with a King bed, large TV, ocean view, access to the screened porch and handicapped equipped bath with shower. 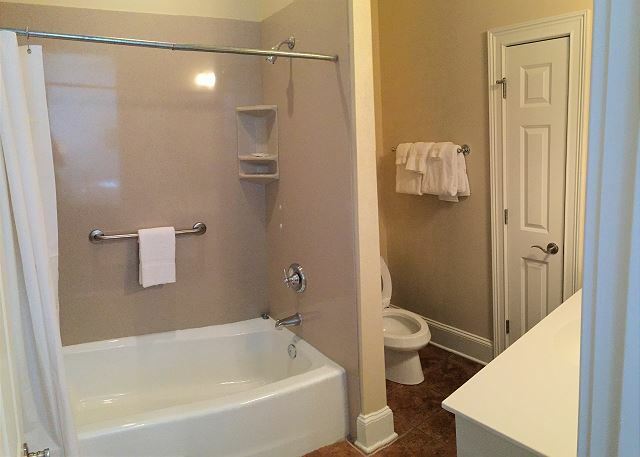 There is a second bedroom with two Queen beds, wall-mounted TV and private full bath with a tub/shower. The laundry room is also located on this floor. The first floor features a second gathering room with two sitting areas, 2 sofas, TV/DVD/VCR, games and videos, a working Pinball machine and access to the first level screened porch. A kitchenette, complete with full size fridge, microwave, sink, toaster oven, and table for 4, offers convenient, additional living space for guests. Each of the screened in porches is equipped with a Pawley’s Island hammock to take your afternoon siesta! 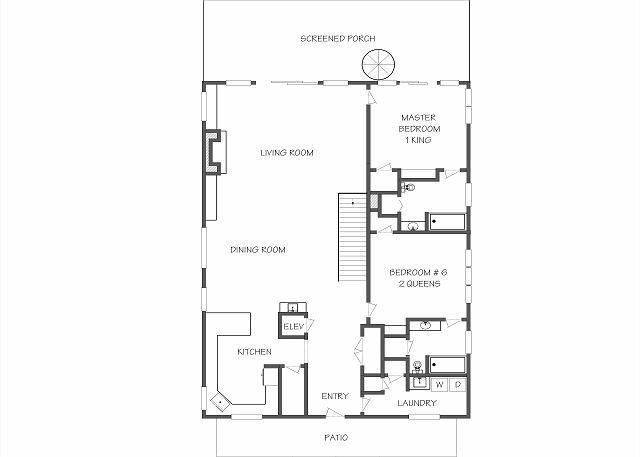 The remaining 4 guest bedrooms are on the first floor. Two have King beds, each with private baths, and two have double Queen beds with private baths. All bedrooms have wall-mounted, flat panel TV's. An elevator makes fast work of carrying groceries and luggage and accommodates those with special needs. Come enjoy your friends, family and beach side living in a laid back, island fashion! Please Note: When checking availability and pricing enter arrival dates and departure dates. Click the book now button to view price and associated fees . In lieu of security deposit we offer a Damage Protection Policy to protect you up to $3,000.00 of damages during your stay. This house was perfect for our group of 6 women who attend the Volvo Open in Daniel Island each year. Well maintained and supplied. Enjoyed our stay. We wanted a beach experience as well as close proximity to downtown Charleston. Everyone enjoyed sitting on the screened porch in the morning watching the beautiful view. House is very well stocked. (more than any other rental I have had) Would recommend and will probably be back. Exceptionally easy to work with the folks at East Islands Rentals. Very friendly and accommodating on the phone, and very responsive to questions. Home was all that we anticipated and more. What a fantastic kitchen setup and supplies; best we have experienced in many years of annual get-togethers. Very clean upon arrival. 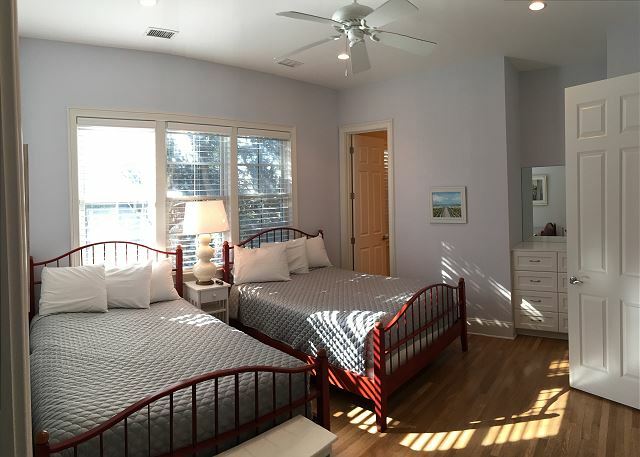 Plenty of gathering space for 6 couples, with great beach views and access. 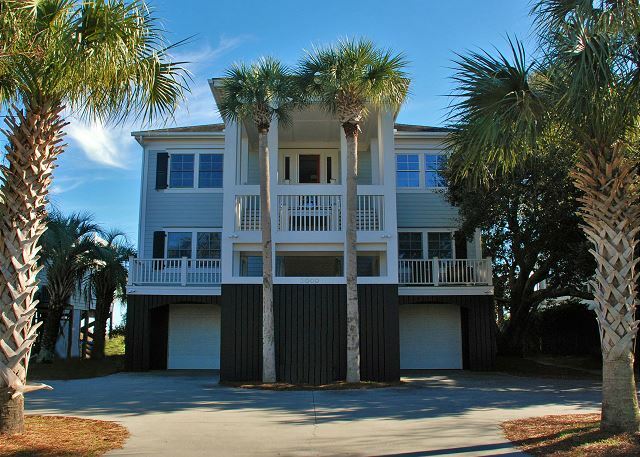 Made for a perfect weekend gathering, and if we ever decide to return to Isle of Palms, would definitely rent again. Visited Charleston for a Citadel Reunion with three families. The house was clean and comfortable with all the amenities. Service was also great from agent. Wonderful time at 3000 Palm Blvd. East Island Realtors were very nice to deal with and very efficient & helpful. Delighted with rental property. Very clean, well equipped, comfortable beds & nice linens. Efficient kitchen. Great size for 10 ladies having a reunion. Highly recommend! The staff at East Island did a good job helping me select a house which could accommodate a managers meeting while providing a great place for everyone to relax and enjoy the view. 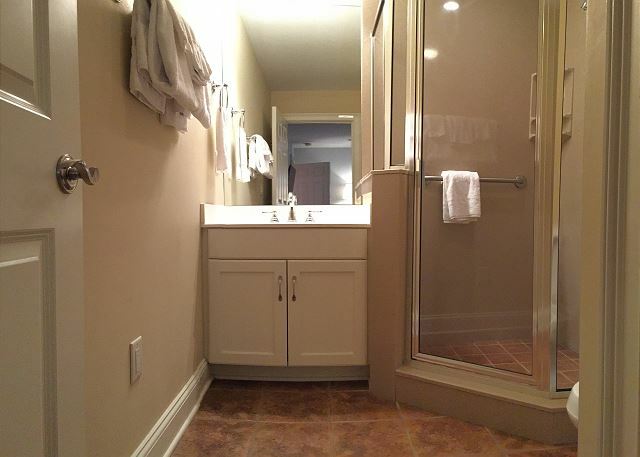 The house is spacious with on-suite bathroom in every bedroom. The house was very clean. It was very unique to have a large backyard between the house and the ocean. Best family vacation house ever! Growing up on IOP in the 50’s was a wonderful experience! Being able to come back bringing all our family to enjoy what I did is priceless! The home is the perfect size, well kept and on a nice beach! We are making new memories here! Thank you East Islands for allowing us to enjoy this time in our lives! always have a great time in this house.The rental agency always takes care of everything pronto.A wonderful place to vacation!